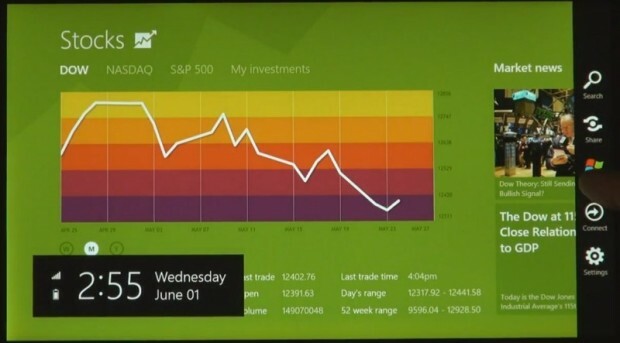 Microsoft has just given a demonstration of what they’re calling Windows 8. It appears to be a complete revamp of the Windows interface, designed around a tile system like that of Windows Phone 7, and focused on being equally accessible via touchscreen interface or mouse and keyboard. Windows president Steven Sinofsky says that Microsoft has “colored outside the lines” on this release, and while they’re retaining support for all the major applications and enterprise features, the new interface is meant to be fresh, fast, and accessible. There are multiple influences based on the interfaces we’ve seen, pulling from many of Microsoft’s newer projects. 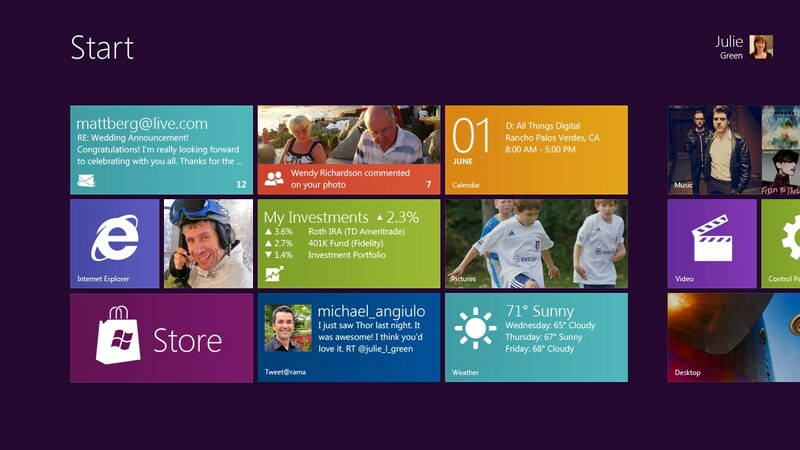 Zune and Metro show through prominently, as well as Live web interfaces and Media Center. Perhaps as a truly user-facing OS layer, these rich interfaces will prove more popular than they have as disparate apps and semi-isolated ecosystems. Sinofsky suggested that even the iconic Start button would be left behind, though during the demo, launching Excel bounced the interface back into a more traditional Windows desktop environment, Start button and all. He most likely means that in the new interface, the Start-style UI metaphor is no longer necessary. However, the Explorer and file browsers appear to have been totally revamped to be far less “folder within a folder,” which has been the storage style for going on three decades now. There’s also a new multitasking interface that’s more or less pane-based, allowing you to swipe in live apps from the side of the screen. It looks useful, though how the panes might interact (i.e. dragging a picture from the file browser to an image editor) wasn’t demonstrated. System requirements weren’t discussed in specific, but Sinofsky said that “hundreds of millions” of PCs would run Windows 8, and that it wouldn’t require any more “oomph” than Windows 7. I assume that with ARM compatibility (and reduced power and clock speeds) comes a responsibility to slim down the OS, not relying on the huge computing overhead available in modern PCs. Hopefully this full-on Windows environment will be neither too stripped-down for power users, nor too clunky for people expecting a simple tablet interface. You can watch a video of all this in action on YouTube (they’ve disabled embeds). Release date is undetermined; Sinofsky said that traditionally OS releases are every two to three years, but it wouldn’t be coming out this fall (i.e. two years after Windows 7 was released). That says to me “Spring 2012” for actually getting it into the hands of consumers. A more complete demonstration and rundown of features will be forthcoming, and they’re showing off devices and the OS at Computex later today, including ARM-based ones (presumably tablets), so there will be plenty more news breaking over the next few hours and days. For a complete live blog of the announcement and Q&A session, head over to All Things D (the video is now up as well). Microsoft has a blog post and press release, as well. Update: Microsoft has also held a “partner preview” showing off ARM and x86 hardware from Intel, AMD, Qualcomm, Nvidia, and Texas Instruments, though there didn’t appear to be anything new demonstrated. The devices are new (or prototypes) but nothing groundbreaking; it’s too early for Kal-El and using next-generation hardware to show off a system that ostensibly has low requirements would be cheating. Update 2: Nope, I was wrong, it’s Kal-El. Engadget has a hands-on with Nvidia’s tablet development platform.